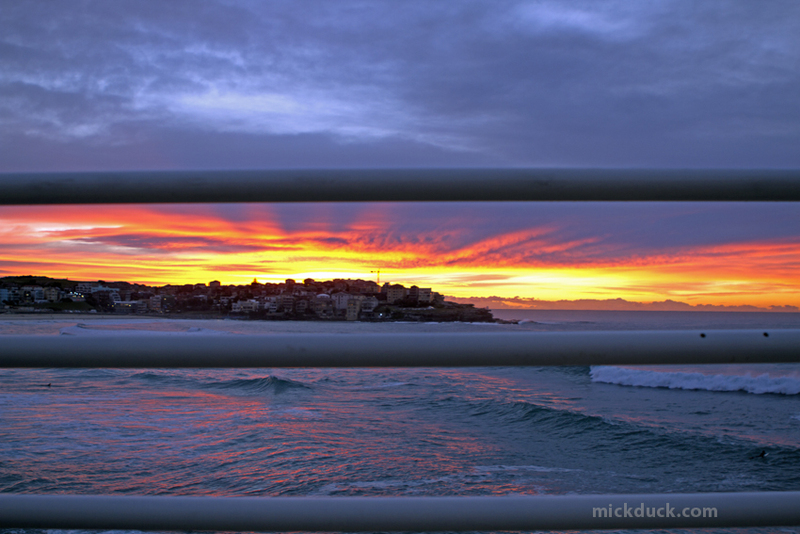 What an absolutely beautiful sunrise that we had this morning down at Bondi. 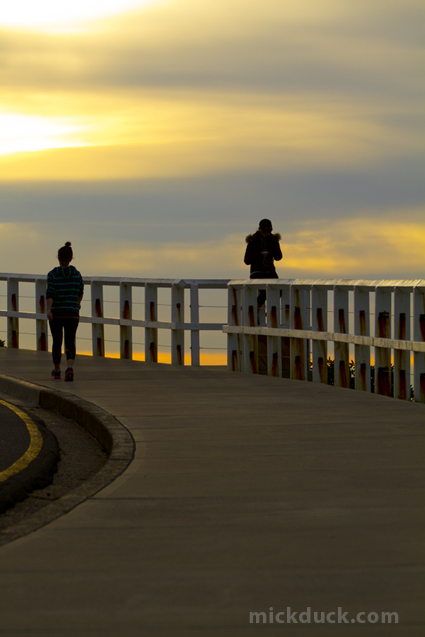 It is winter mornings like this that make waking up before sunrise totally worth it. At 6.45am before the sun actually came up there were smatterings of soft clouds around the bay and the light comes dancing through and gives you a few minutes of this wild light. The swell has backed off since yesterday but there are still some 2-4ft peaks coming through and the odd bigger ones. 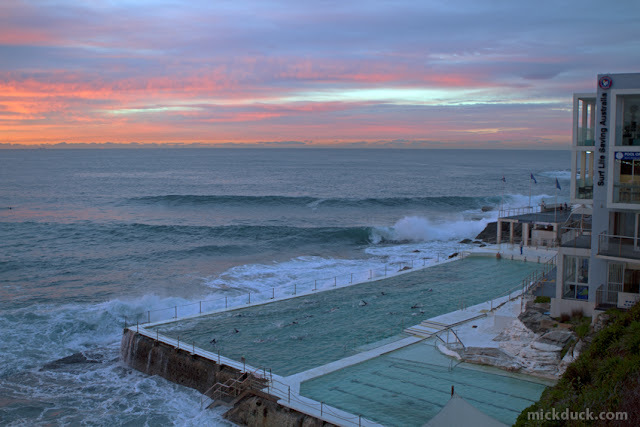 There are waves at Bondi, Tamarama and Bronte. 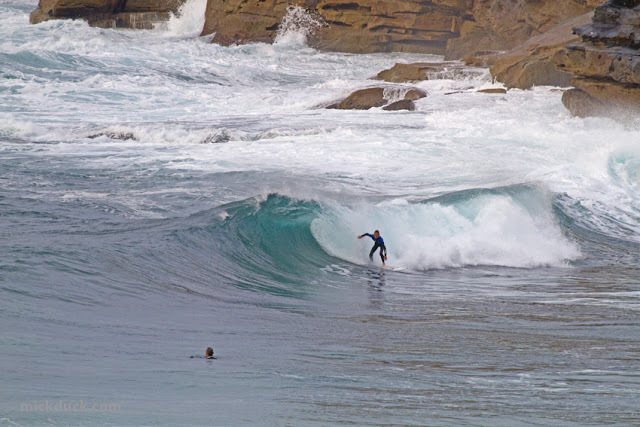 I hear there are a few at Maroubra aswell but being on the bike this morning it felt a little far. If you have read this whole blog post...THANKS. If you are looking for something else to check out and you love food. Check out my friends food blog www.geo-does.com The chocolate coated honeycomb is delicious.....as is everything she cooks.